At the northwestern tip of the island is ﻿The California Lighthouse﻿. According to popular legend, the lighthouse gets its name from the wreck of the Leyland liner Californian - - the ship that saw the distress rockets fired by the Titanic after she struck the iceberg but which failed to come to the White Star liner's rescue. 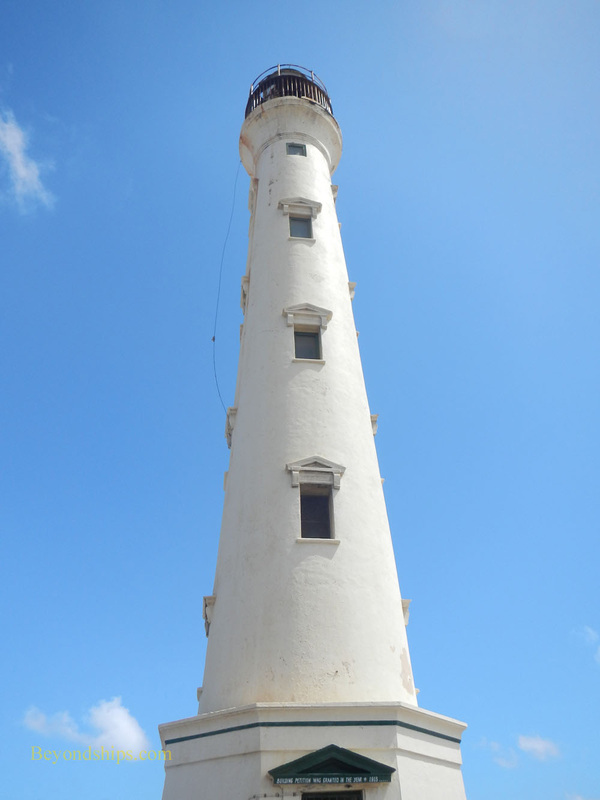 However, the lighthouse was built in 1910 and was named after a ship that had sunk offshore a few years before. The Titanic sinking, of course, occurred in 1912. The lighthouse is closed to the public but from its elevated position one not only gets a good view of the wild north coast but of the resort area to the south. There is a restaurant next to the lighthouse. 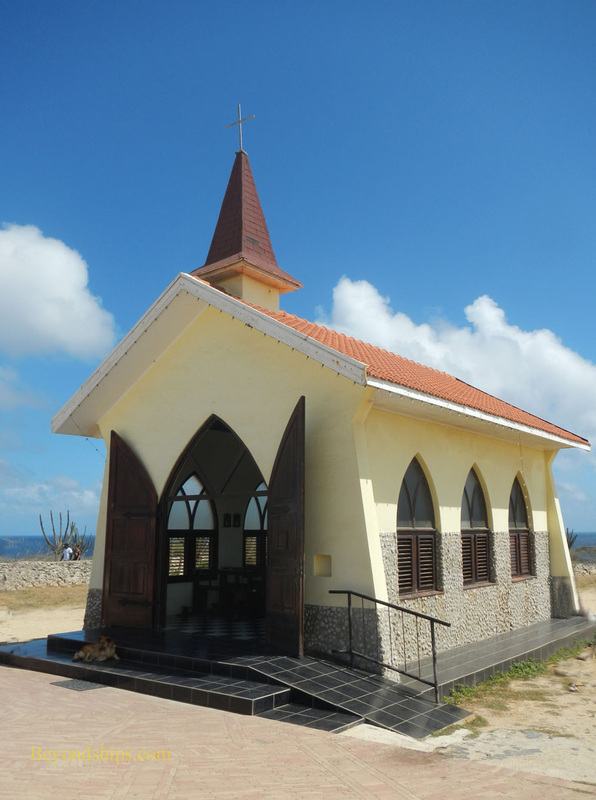 Also at the northwestern end of the island is the ﻿Alto Vista Chapel﻿. The first church on this site was built in the 16th century. 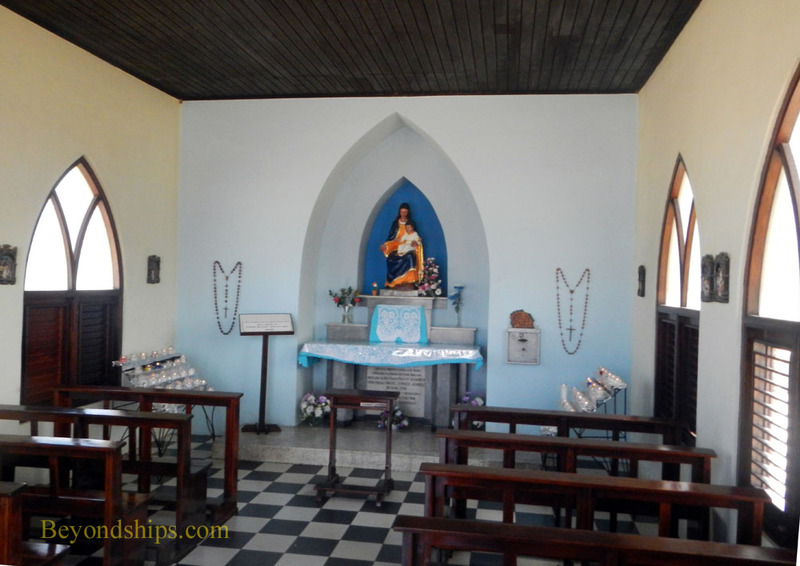 Today's church dates from 1952 but remains an important pilgrimage church for Aruba's Catholics. 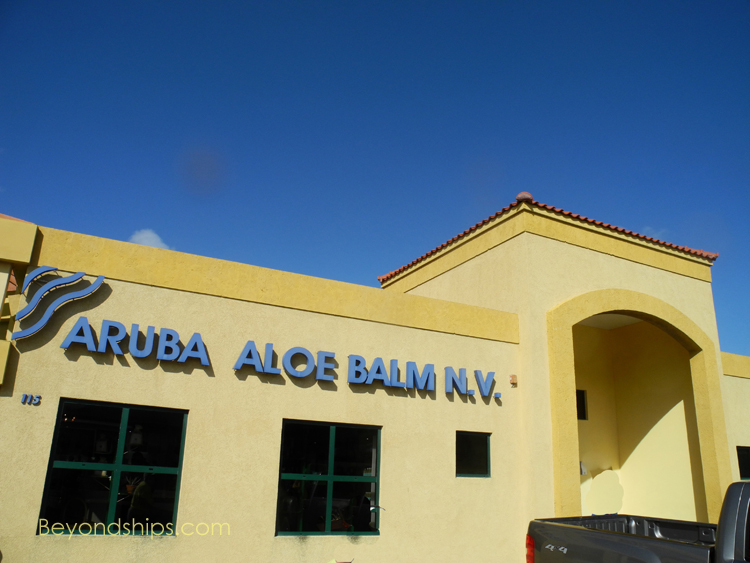 Shore excursions in Aruba often include a visit to the ﻿Aruba Aloe Factory﻿. 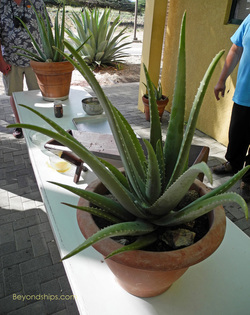 Aloe Vera cultivation began in Aruba at the end of the 19th Century and became an important crop for the island. Another product that played a significant role in Aruba's history is gold. Not far from the Natural Bridge site is the ruins of the ﻿Bushiribana Gold Smelter﻿. Aruba was believed to have gold almost from the time the first Europeans set foot on the island. Indeed, the name Aruba may be a corruption of the Spanish "orohubo" (meaning there was gold). 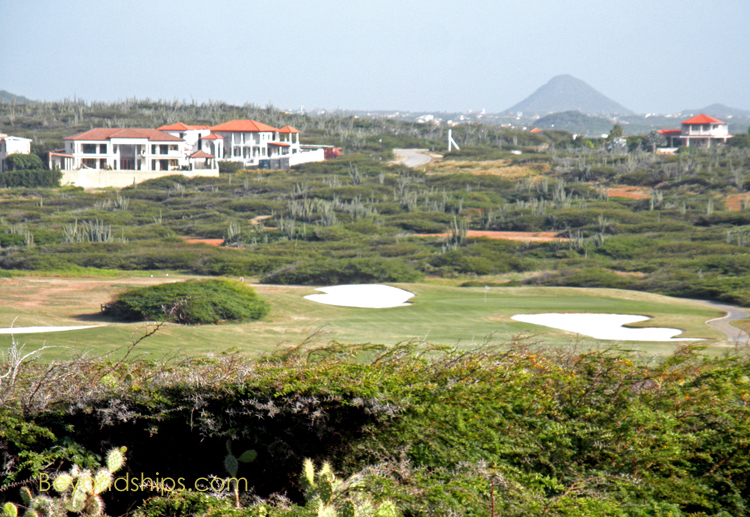 However, sizeable amounts of gold were not discovered in Aruba until the 19th Century. For less than a century, gold mining took place on the island but eventually, it was found not to be worthwhile. Built in 1872, this smelter was used to process the gold mined in the nearby hills. 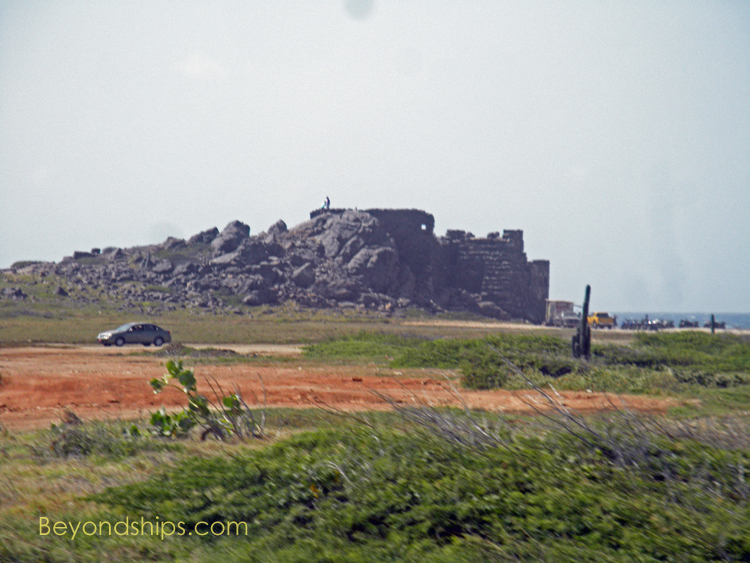 Today, little remains of this fortress-like structure but it provides a vantage point for viewing the sea and the wild surroundings. 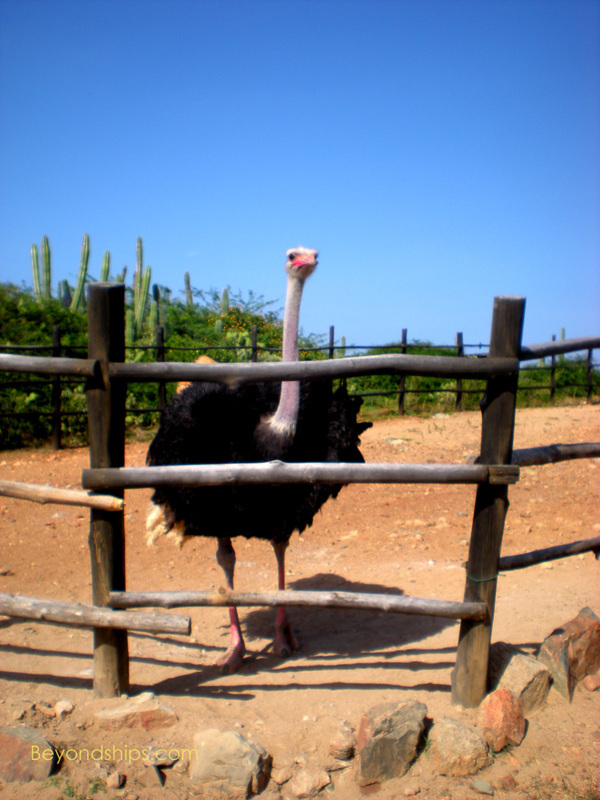 An industry that has come to Aruba more recently is ostrich farming. 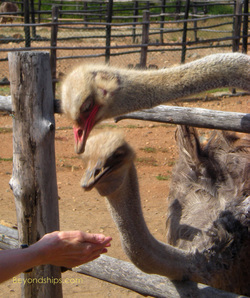 The ﻿Aruba Ostrich Farm﻿ is open to the public. It has a flock of some 80 striches and emus, which it raises for commercial purposes. about the behavior of these flightless birds. Not far from the Butterfly Farm is the ﻿Old Dutch Windmill﻿. It is an authentic Dutch windmill built in 1804 to drain water from low lying land in Holland. Damaged by a storm in 1878, it was moved to another location in the Netherlands and was used as a grain mill. It performed this task until 1929 when another storm caused considerable damage. 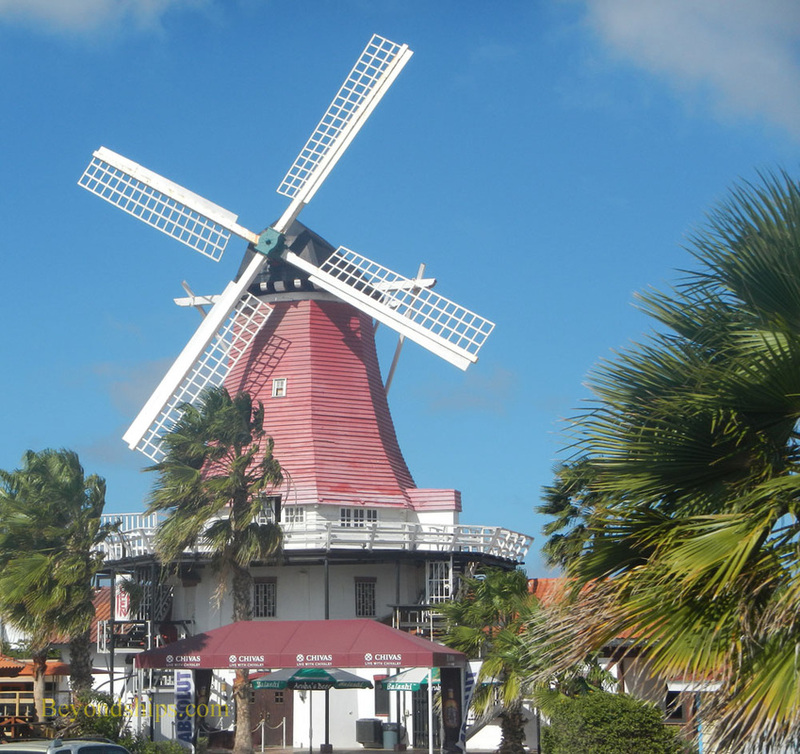 The windmill stood idle until 1960 when a Dutch businessman decided to bring it to Aruba as a tourist attraction. He had the windmill disassembled and then re-assembled when it reached Aruba. It is considered one of the first tourist initiatives in Aruba. Over the years, the windmill has housed a succession of restaurants and nightclubs. It has never operated as a mill in Aruba.